Creating a research poster in PowerPoint is a multistep process. 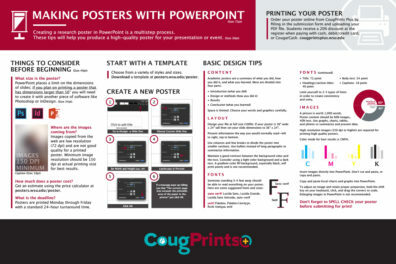 Our tips for setting up, creating, and printing will help you produce a high-quality poster for your presentation or event. NOTE: Once you have created and spellchecked your poster, save your PowerPoint file as a PDF for file submission and printing. Choose a size and orientation. 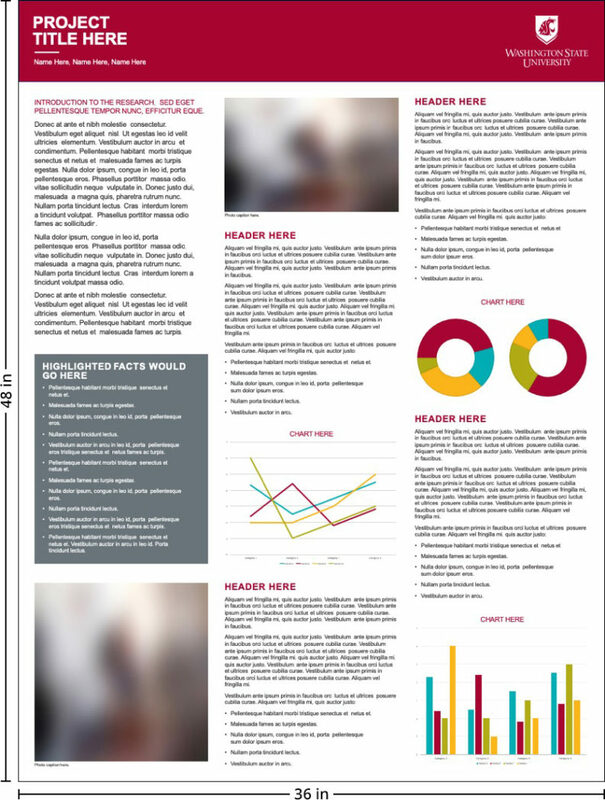 Click the download link for the desired poster template. Open the file in PowerPoint and add your content to the layout provided or create your own. Save as a PDF file: File – Export – Create PDF/XPS Document. Want to know how much your poster is going to cost? Get an estimate below! Please enter a value less than or equal to 35.5. Heavy photo gloss has a maximum width of 48", so please keep this in mind when designing your poster. This means one of your dimensions must be less than or equal to 48". Visit our Materials and Pricing page for more information. Waterproof paper has a maximum width of 35.5", so please keep this in mind when designing your poster. This means one of your dimensions must be less than or equal to 35.5". Visit our Materials and Pricing page for more information. Students receive 20% off of this price (if paying with cash). 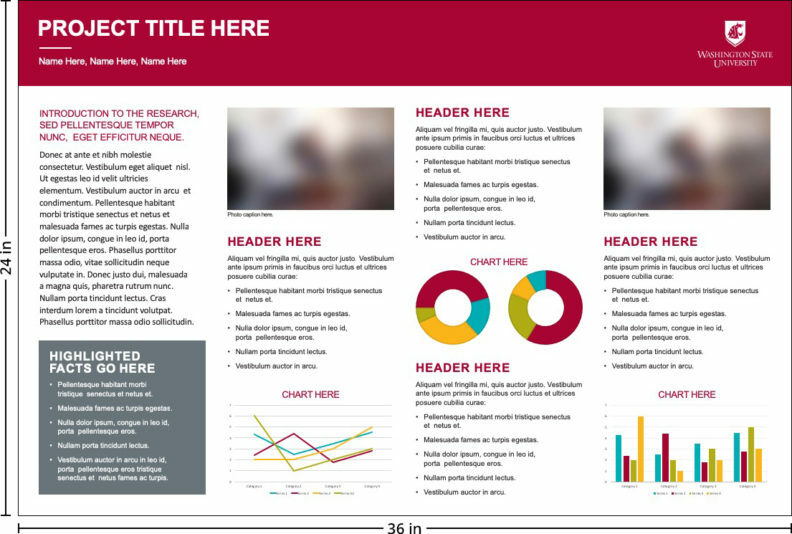 Download a 24″ x 36″ PowerPoint template. 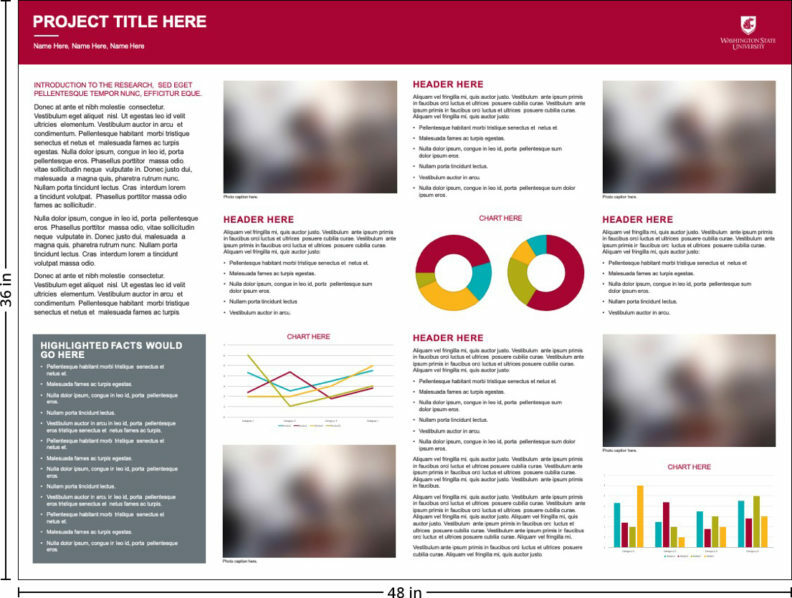 Download a 36″ x 48″ PowerPoint template. Download a 36″ x 24″ PowerPoint template. 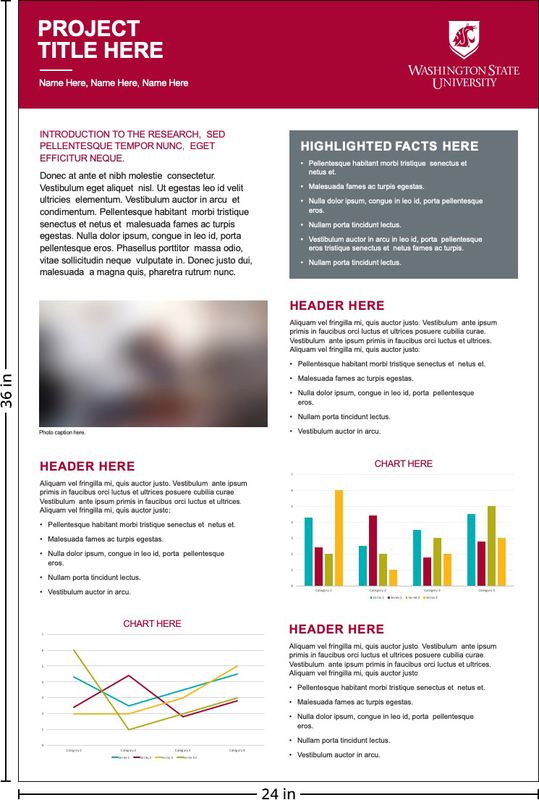 Download a 48″ x 36″ PowerPoint template.